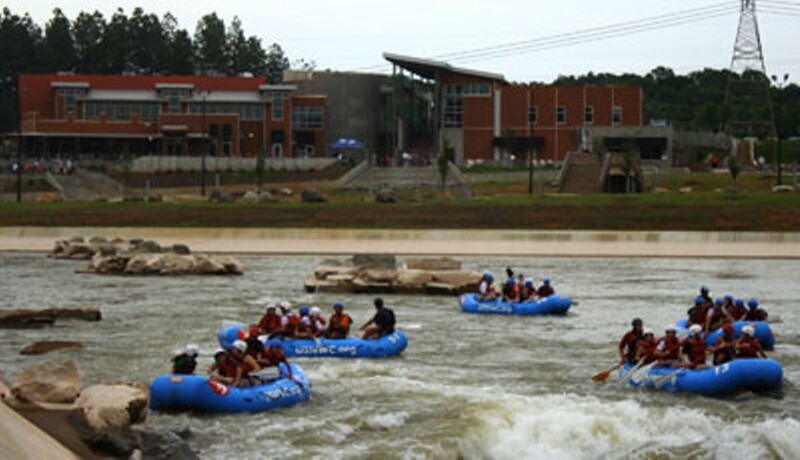 This oasis for outdoor sports enthusiasts is situated on more than 300 acres along the Catawba River and has the largest multi-channel river in the world  yes, the world. There are also two rock climbing walls and 11 miles of mountain biking trails. And after a day of climbing, boating or biking, you can relax at the Eddy Restaurant and Bar (see also Best Hamburger in the Food & Drink section), which boasts an outdoor terrace and provides a great view of the river. Theres even a retail store with all the latest high-tech gear. If your out-of-town guests arent impressed, we recommend you send them back to where they came from.